Lock in a great price for The Lakes Motel – rated 8.6 by recent guests! Food trucks right across the street!! Quiet rooms. Simple. We didn't interact with staff or use the kitchen. Worked fine for the 3rd of us. We booked last minute and it was a good value, clean, and what we needed for our Mt Cook weekend. Beautifully equipped and spotlessly clean. Comfortable with thoughtful little extras - fleecy blanket, extra pillows, ash tray on deck. The room was very spacious and clean. The kitchenette was well stocked. I wish I could have used more than just the kettle, but our stay was short. The staff was very friendly. We appreciated the air conditioner as well. This hotel was the only one during our time in New Zealand with one, so we were grateful for its use. The bed was comfortable and provided a great night's rest. Very welcoming! Friendly staffs,cozy bed,clean and have everything to cook. I thought there was nothing around this motel but surprisingly there were lots of great restaurants and supermarkets. I would definitely go back to the lakes motel next year. The spa bath was great. The room and kitchen facilities were clean and much appreciated. Staff was friendly and prompt with communication. Very modern, clean and comfortable units. An easy walk into town. when I first pulled up to the hotel I thought that it didn't look like much. But inside was very cozy and I loved the spa tub after a long day hiking. It's a pleasant motel with spacious, clean and well equipped units. The air conditioner worked superb and quietly which was essential due to the hit wave that was going on outside. The location is excellent for visiting Mt. Cook National Park, just 45 minutes drive. 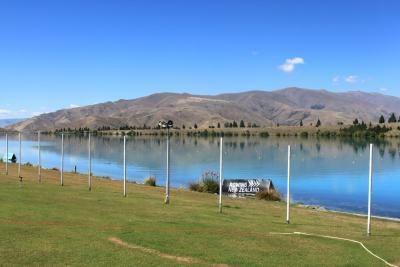 Offering free WiFi and free on-site parking, The Lakes Motel is located in the heart of the Mackenzie Country, in Twizel, just 350 feet from Ben Ohau Golf Course. It features self-contained apartments with kitchenettes and a patio. Each unit has a radiator for heat and an air-conditioner along with a kitchenette, a dining setting and cable TV. 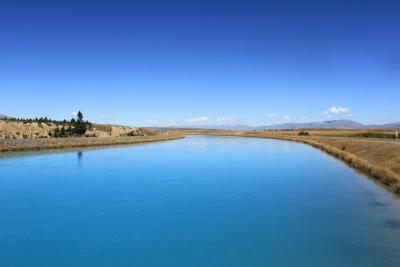 The Lakes Motel is only a 45 minute drive from Aoraki Mount Cook Heritage Park, which offers activities such as skiing, boating, rock and mountain climbing. 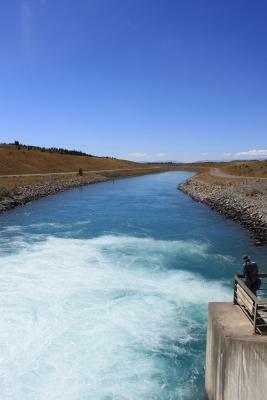 Twizel is home to several lakes, hiking trails and fishing. When would you like to stay at The Lakes Motel? This modern studio offers central heating and a flat-screen TV. Spa bath unit's on request. Please note that studios with spa baths are available, on request, subject to availability. If you wish to request this, please use the special request box when booking or use the contact details found on the booking confirmation. Please also advise the property if an accessible shower/toilet is required. A spacious 1-bedroom apartment with kitchen facilities and a spa bath. Please also advise the property if twin bedding is required. You can use the Special Requests box when booking, or contact the property using the contact details found on the booking confirmation. A spacious 2-bedroom apartment with kitchen facilities and a spa bath. This modern, spacious 1-bedroom apartment features kitchen facilities and a spa bath. This modern studio offers central heating and a flat-screen TV. Please note that studios with spa baths are available, on request, subject to availability. If you wish to request this, please use the special request box when booking or use the contact details found on the booking confirmation. Please also advise the property if twin bedding or accessible shower/toilet is required. Please note, the single bed is a Murphy bed that pulls down from the wall. Please notify the property in advance if this bed will be required. 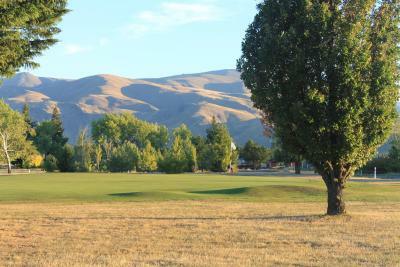 This Motel Complex is Located Opposite the Ben Ohau Golf Course and Offers Amazing Views. We offer Comfortable Accommodation in the Heart of the Mackenzie Country with access to Mt. Cook Village, the A20 Trail, Hiking, Fishing, Skiing and Other Outdoor Activities. House Rules The Lakes Motel takes special requests – add in the next step! One child under 6 years is charged NZD 15 per night when using existing beds. The Lakes Motel accepts these cards and reserves the right to temporarily hold an amount prior to arrival. Please note that there is a 2.5% charge when you pay with a Visa or Mastercard credit card. Please inform The Lakes Motel of your expected arrival time in advance. You can use the Special Requests box when booking, or contact the property directly using the contact details in your confirmation. Great sized room for a family traveling with 2 children with good facilities. 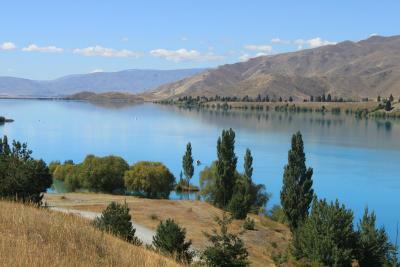 Perfect location to walk for dinner and enjoy the activities in Twizel. Nothing - everything was as described. Nice quiet private accommodation, clean and tidy. Park car outside room, through own front door directly into very spacious bedsit with well appointed kitchenette and en suite bathroom. There was absolutely nothing not to like! Location was excellent. We hardly used our rental vehicle it was very easy to walk wherever we chose. Lovely clean motel rooms thank you! No shampoo - hated the soap dispenser!! Shower head was so strong it sprayed everywhere. We had to keep it turned down. A bit far from Mt Cook, so if that’s your destination, it’s a drive. Was a little bit put off by the threat of charges if dishes were not done - guess some abuse this but washed our cups anyway. Location, friendly staff & cleanliness! Reception staff very helpful and friendly. Apartment was excellent. Twizel a lovely town to visit. Excellent motel. Room spacious clean and comfortable. BIg comfortable bed. Kitchenet well equiped. Woners ar nice and helpful.